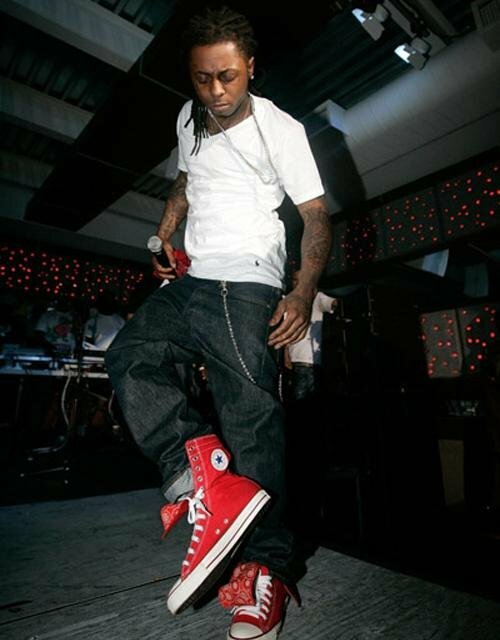 Photoo gallery of rapper Lil Wayne wearing various pairs of chucks. 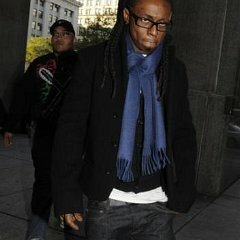 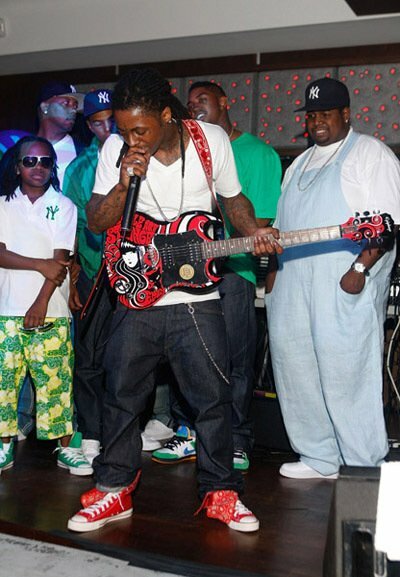 1 Lil Wayne Lil Wayne wearing red extra-high top chucks. 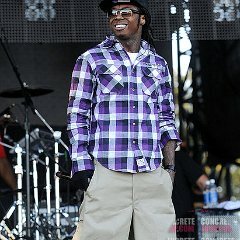 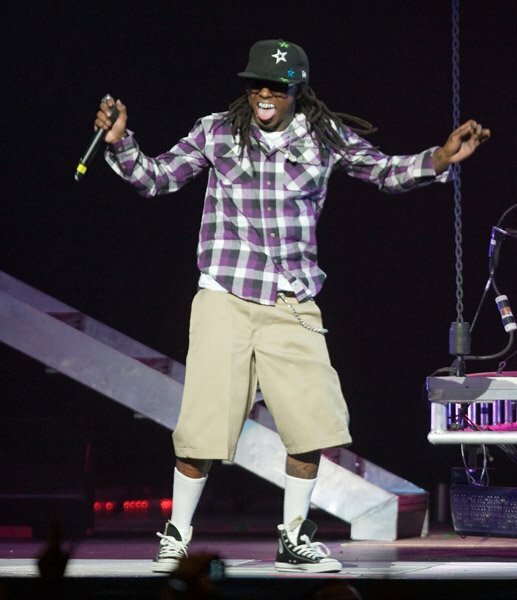 2 Lil Wayne Lil Wayne wearing purple high top chucks on stage. 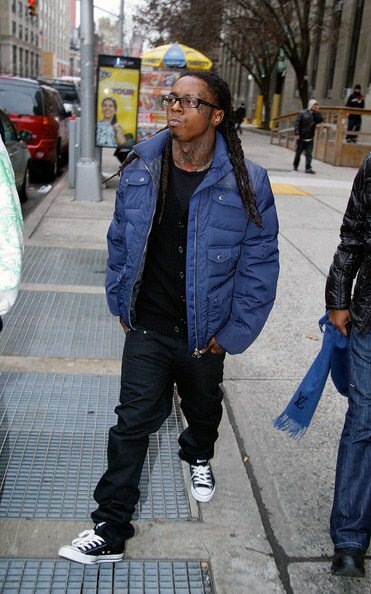 3 Lil Wayne Lil Wayne in black chucks while walking the street. 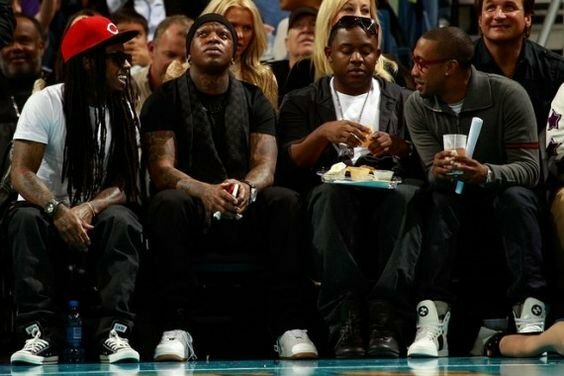 4 Lil Wayne Lil Wayne in classic black chucks. 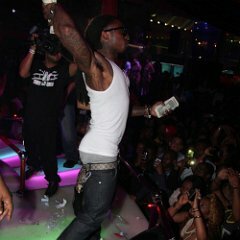 5 Lil Wayne Weezy throwing money in black chucks. 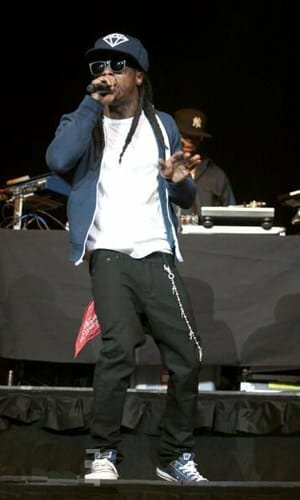 6 Lil Wayne Lil Wayne performing in new with tag black low top chucks. 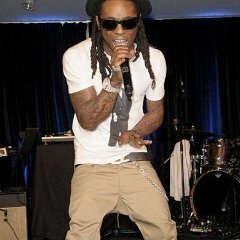 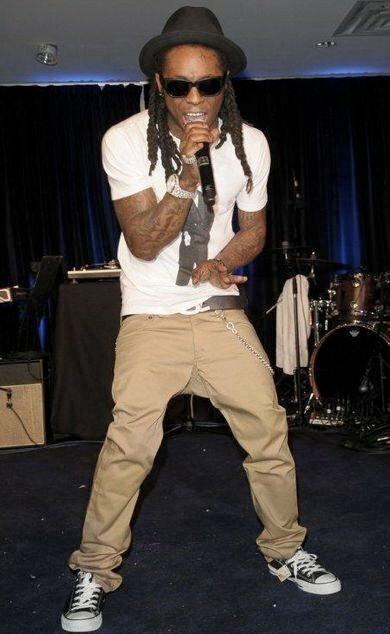 7 Lil Wayne Lil Wayne on stage in navy blue chucks. 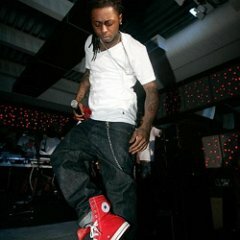 8 Lil Wayne Lil Wayne wearing black high top chucks with the tag still on. 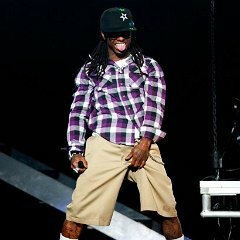 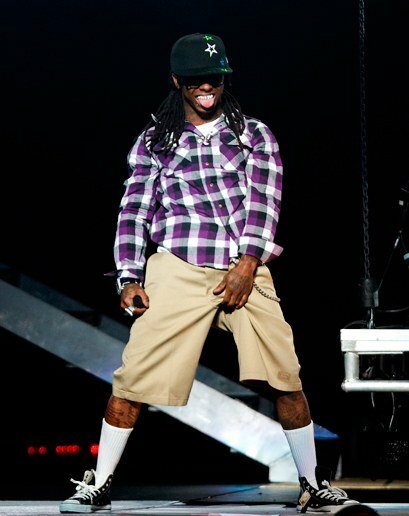 9 Lil Wayne Weezy on stage in black chucks. 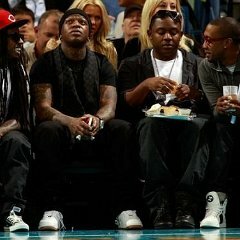 10 Lil Wayne Wayne takes in a New Orleans Hornets game. 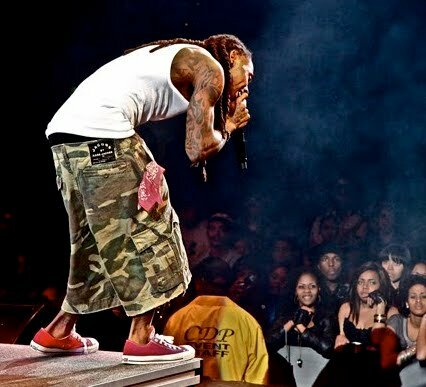 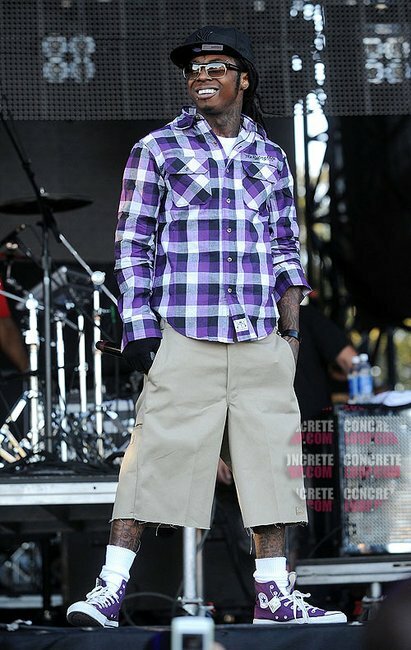 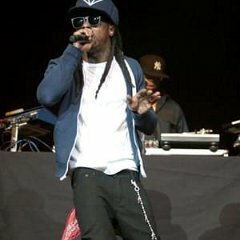 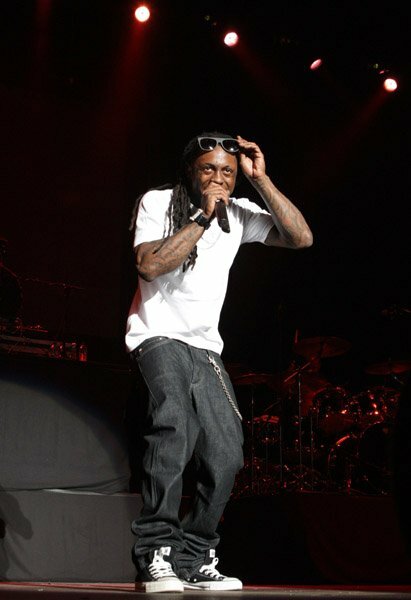 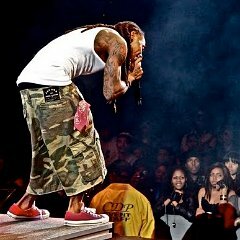 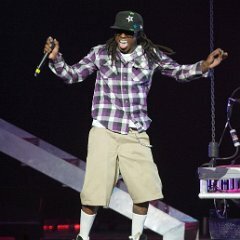 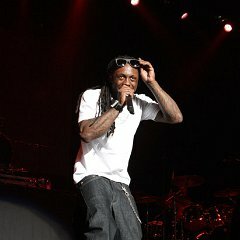 11 Lil Wayne Performing in classic black high top chucks. 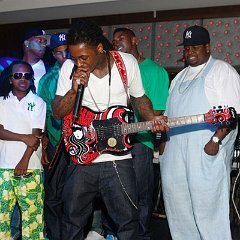 13 Lil Wayne Lil Wayne in low cut red chucks.